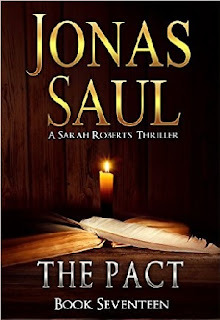 The HBS Author's Spotlight SHOWCASES Jonas Saul's New Book: The Pact. International bestselling thriller Author Jonas Saul is the author of the of the Sarah Roberts Series and The Mafia Trilogy. 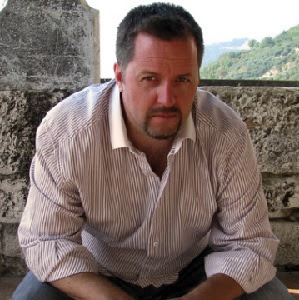 Jonas is a Mystery & Thrillers and Horror writer. Sarah Roberts has lost her ability to hear her sister’s messages. All forms of communication with Vivian are gone. Unless Sarah fulfills a pact with Vivian, one she knows nothing about, their ties will remain severed forever. In a time capsule Vivian prepared almost twenty-five years ago when she was still alive, prophecies and documents await Sarah. Several of the documents are addressed to people Vivian thought Sarah might know in the future. When Sarah’s father mails these documents, Sarah’s world is flipped upside-down. Instead of Sarah hearing her sister and performing tasks, Sarah’s friends are the ones hearing Vivian’s words through the letters she wrote to them years ago. Back then, Vivian hadn’t been clear on what each person should do to save Sarah’s life. Since the near future affects Sarah personally, Vivian cannot intervene and communicate with her directly. The future becomes the enemy and the only way to stop it is to cease moving forward, to die. Sarah fights to stay alive without any spiritual guidance, something she has never done before, which becomes her undoing when she walks into a trap she cannot walk away from, and no one is there to save her. Vivian Roberts, now dead for twenty-five years, left behind a prophetic note in a time capsule that was meant for her sister’s eyes only. While alive, Vivian had talked to the dead. Now dead herself, she talked with the living. The sun was setting over the ocean as the taxi pulled up out front of Sarah Roberts’ parents’ home in Santa Rosa. She paid the driver and exited the vehicle. Her shoulders hitched as she let out a sigh. What could Vivian have known twenty-five years ago? Did it have anything to do with Sarah’s boyfriend, Aaron? How could she have known about him so long ago? 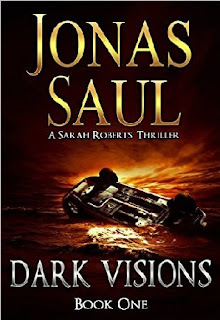 After the taxi pulled away from the curb, Sarah looked both ways, hoping Aaron hadn’t listened to her and come anyway. But the street was quiet, empty. 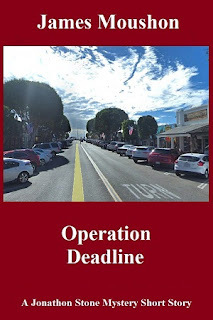 Sarah’s father had contacted her in Las Vegas and urged her to return home as soon as possible to deal with the time capsule Vivian had left behind. According to Caleb, Sarah’s father, she was to trust no one. He instructed her to not speak of the time capsule and to exclude Aaron. “It’s the only way,” Caleb had said. He’d said it was too dangerous to repeat Vivian’s message over the phone. But why? Who would be listening? And if someone was, how would Vivian have known that twenty-five years ago? Sarah missed Aaron. After her recent ordeal with the Enzo Cartel and then an insane woman attempting to bomb the Sands Convention Center in Las Vegas, she needed Aaron with her. She wanted his comfort, his touch, but most of all, she needed his presence. But he was gone. Back to Toronto. Was Vivian’s letter that important? Sarah had spent years saving the lives of others to the detriment of herself, her life, and those around her. Wounds could be counted by the scars littering her body. What couldn’t be counted were the emotional wounds. Like when she told Aaron to fly home to Toronto so she could travel to Santa Rosa on her own without much of a reason. He was supposed to just trust her. He said he understood. As much as he tried to hide it, the underlying tone in his voice said otherwise. The two of them had recently made a pact based on trust. One that would take them to a new level in their relationship as they moved forward. To break that pact with Aaron not one hour after making it left an empty feeling in her gut. For the two days since, she felt a loss so profound it was as if Aaron had slipped away from her emotionally. So when Sarah’s father told her to tell no one and come to Santa Rosa alone—especially leave Aaron out of it—she had broken her pact with her boyfriend. They’d said goodbye at the Las Vegas airport as he boarded a flight to Toronto. Two hours after that, she’d boarded a flight that took her to Los Angeles and then on to Santa Rosa. Alone on the sidewalk in front of her parents’ house, Sarah summoned the courage to knock on their door, the will to read the letter left by her long-dead sister, and the determination to fulfill whatever the letter asked of her. As life passed her by, it was growing more and more apparent that it was Aaron who kept her grounded, kept her moving forward. His love for her, and her love for him, grew stronger day by day, year by year. A thought occurred to her as she hesitated on the sidewalk. The internal conflict, the nagging feeling that she hurt Aaron unintentionally by coming to Santa Rosa, led to a realization. She wanted to be with him, not just now, but forever. She wanted marriage, kids, a family life. Sarah wanted a family. Aaron would be a wonderful husband and an even better father. Contrary to that thought, she wondered if she should bring children into this cruel world. As a mother, would she still live so recklessly? Or would her days with Vivian be over? None of those questions would be answered if she continued to treat Aaron the way she did. A man could only take so much. Steeling herself, Sarah started for the house, determined to read the note, deal with whatever Vivian had left for her, then get back to Aaron. Evidently there was a lot more to discuss about their future than a pact regarding their commitment to trust. The front door opened before Sarah knocked. Her father, eyes glossy and rimmed red, stepped outside the house and engulfed Sarah in his arms. “So glad you’re here,” he said, his voice muffled by their hug. He pulled away, grabbed her shoulders and drew back to look at her. “Of course.” Caleb stepped aside and gestured for her to enter before him. Not much had changed since she’d been here last. Furniture was the same. The TV was on mute in the corner, actors engaging in a soundless spat. A large table along the left side of the living room was new. A puzzle lay half done, the remaining pieces scattered around the uncompleted area. A fleeting glimpse of her past sent a chill up her back. Homework, her bedroom a mess, depression. The TV always on mute as her father read the newspaper in his chair. The blackouts and strange notes appearing. She recalled pulling her hair out, piece by piece. Trichotillomania they’d called it. Once she met Mary Bennett, that all changed. Sarah had accurately interpreted the note from her dead sister after a blackout and saved Mary from a planned kidnapping. The beginnings of Sarah’s purpose-driven life. Coming home left her feeling slightly awkward. Out there, she was the adult, the one who had it all together. The snarky girl who could hear her dead sister in her head. Back home, she was just little Sarah again with her mom and dad. “Mom’s doing a puzzle?” Sarah asked. Sarah kicked off her shoes and walked over to stand beside her father. The puzzle’s box cover showed a gorgeous photo of the Vatican with all its many columns. The half-done image on the table in front of her didn’t bear a likeness quite yet. “A ways to go,” Sarah said, feeling the elephant in the room. They both knew why she was there, but her father hadn’t mentioned the time capsule yet. She looked up, surprised. “Is he here? In Santa Rosa?” Sarah sat at the kitchen table while her father flicked the switch on the kettle. On the corner of the table, a small red light blinked on the phone. Someone in the house was using the phone. “I’m sure he’ll be around soon. Your mom said she’d call him.” Caleb grabbed a mug from the cupboard. Seconds later, the red light on the phone blinked out. Then footsteps came up the hall. She turned as her mother entered the kitchen behind her. Amelia moved for the kitchen table. Sarah studied her mother’s face a moment longer. Worry lines creased her brow. “I’ll go look at it now,” Sarah said. Down the corridor to the guest bedroom, she hesitated at the open door. The bed was made. On the white blanket, laid out in a neat and orderly fashion, was the time capsule with its bounty spread out beside it. Vivian had chosen a small tube for the twenty-five year old message, similar to the kind that held posters when they were shipped in the mail. Before reading a single word on the handwritten pages, Sarah examined the tube. A note on the outside asked the reader to keep it sealed until spring 2016. It didn’t say for Sarah’s eyes only. There were no warnings to restrict anyone from reading the contents held inside. She set the tube down and picked up the first page. A shudder ran through Sarah’s shoulders as she read her sister’s handwriting from twenty-five years ago. In the cursive, Sarah saw familiar lines, arches that resembled her own writing. A tear leapt to her eyes when she thought of the sister she never got to have in life. A sister to play with, do makeup, talk about boys. That era in her life was over, but she would’ve loved to have had Vivian be a part of that. Sarah read on, noting important details, memorizing a few of the facts. Near the middle of the second page, she understood why Aaron couldn’t be made aware of what was on these pages. A chill rippled through her as she got to the meat of the message. Vivian wrote of her intention to enter into a pact with Sarah. Without the pact, their communication was cut off. A pact could break that silence between them forever. Vivian added a side note questioning the kind of communication they had. In her prophecy, it wasn’t revealed how the sisters would be talking in the future. Could this note still be accurate? Could the living Vivian have predicted events about to happen that well from over two decades ago? Did any of it matter? Why couldn’t Vivian just talk to Sarah like she always did? Guide her through the next few weeks? Sarah reread the part about their communication being severed. At least until they made a pact. After no response, Sarah continued reading. Vivian wrote that she had been offered a glimpse of Sarah’s blueprint. In it, she saw Sarah die. She had also seen a man in Sarah’s life—Aaron—and his blueprint ended at roughly the same time. Vivian’s theory of life was called the blueprint. A person’s life, their struggles, their family, their triumphs, were all written down by that person prior to their incarnation on Earth. Coming to Earth is a form of evolving our souls, making us better entities, as we live out our blueprint. The pain, the struggle we encounter along the way, is there to teach us humility, love, and understanding. At times, life was overwhelming, but we never write more than we could handle. Vivian had caught a glimpse of the man’s name in Sarah’s life, calling him Aarow instead of Aaron. The only way for the sisters’ relationship to remain the way it was for years to come was for Sarah to enter into a pact with Vivian. But her sister wasn’t given the information twenty-five years ago on how to do that. And she wasn’t able to tell Sarah now as communication had ceased. Sarah closed her eyes and focused. She waited for Vivian to enter her consciousness, but she didn’t. For the last two days, Sarah had spent time with Aaron in Vegas. Vivian had been strangely quiet, but Sarah hadn’t paid particular attention to it as she wanted to spend quality time with Aaron without distractions. Vivian, Sarah whispered in her mind. Talk to me. Sarah read the end of the note. Aarow—Aaron—was to be murdered in Toronto. Sarah had just let him fly home the other day. Had she stuck to the pact they had made in the hotel not two days before, he would be in Santa Rosa with her, reading the letter and not in Toronto about to be killed. “No, no, no,” she moaned, rolling her head back and forth. “It’s not possible.” She dropped the pages on the bed beside her and looked up at the ceiling. “After all I’ve done, Vivian, you can’t do this to me.” Sarah dropped her head and let the tears flow. She missed Aaron and felt remorse for how she’d treated him in Vegas. She felt bad for being here alone after agreeing to be absolutely honest with him. She could have kept him from going to Toronto. She snatched up the letter and tried to memorize the parts that might make sense later on. Vivian said Aarow would be murdered by the clock. How will time kill him? She also said to protect a Dane. If the blonde Danish dies, that could spell trouble. Don’t let the blonde Danish die. Sarah surmised Vivian was talking about a blonde woman from Denmark. At least she hoped that was right. There was a man named Oaf and his son. 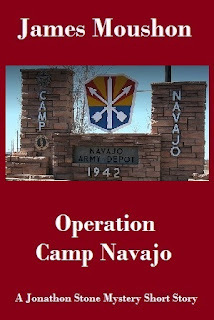 But Vivian admitted in her note that she might be missing a letter in Oaf’s name. Who would call their son Oaf? PAIN was behind everything, Vivian wrote. Stop PAIN and everyone lives, but boys will continue to be violated. Goosebumps rose on Sarah’s forearms. This part of Vivian’s letter didn’t make sense. Boys violated? Stop PAIN? Was there a religious meaning in there somewhere? 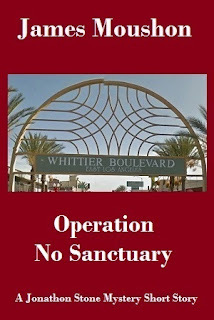 Sarah recalled her time in Los Angeles where someone was killing Catholic priests for their transgressions. Is that what this was about? In the end, it was the foretelling of Sarah’s death that shook her. She had spent several years receiving messages from Vivian. Nothing shocked her. It had been a long time since Vivian was so vague. Recently, with her sister directly in her head, everything was quite clear. The letter in Sarah’s hand reminded her of the Automatic Writing stage of their messages. Clues, hints, and riddles. Sarah would never forget the clue for a kidnapping that read North Face. The girl about to be kidnapped walked right by Sarah, a North Face jacket on, and Sarah missed it, thinking she was supposed to face north in order to see the kidnapping. It almost cost Sarah her life. As now, the message was spotty and riddled. And it portended the end of Sarah’s life. Sarah flipped the pages over. Another paragraph was written on the back of the second page. Vivian said that she had taken it upon herself to write letters. Those letters were in the time capsule. They were not to be opened by anyone except by the person whose name was on the envelope, and whoever found the time capsule had the responsibility to properly stamp and mail the letters. Sarah’s life depended on those letters getting through. She looked inside the capsule tube. The letters were gone. The last paragraph said goodbye. Tomorrow, mom and I are going shopping, Vivian wrote. At the mall, I’ve been instructed to run away from her. If I lose mom, I will be able to stop a man named Stew Art. I think his first name is Almond, but I’m not sure. The man who kidnapped, raped and murdered Vivian all those years ago after she went missing. Armond was now dead after Sarah hunted him through the United States and into Europe. Sarah read on, I’m told this is the only way for you to stay alive. If you do, I’m also informed that we, as sisters, will create a bond that’ll stop dozens, if not hundreds of bad people from hurting others in the future. It’s the right thing to do, Sarah. So I have decided to lose mom tomorrow at the mall. Please tell her it was not her fault. This is my choice. I want to do this. I don’t want to live in a world where there’s so much pain. Especially if I can do something about that. I’m left with no choice. So I say goodbye, Sarah, and I pray you live through this so we can do what my teacher from the Other Side has done for me. Enter into a pact with me, Sarah. If not, we will be reunited very shortly and our work on your plane will be over. I love you, little Sarah. The tears came in torrents. Why did the world’s problems fall to this family? Why did she have to lose her sister? Breathing through her open mouth, her nose clogged as her sinuses filled from crying, Sarah reread the end of the note, the page gripped tight in her palm. The guest room door opened. Her father stepped in, a glass of whiskey in his hand. Sarah rolled the handwritten pages and stuffed them into the tube, missing the tip of the opening a couple of times because her eyes were too blurry with tears. In a daze, she allowed herself to be led to the kitchen. On the couch in the living room, Parkman sat with his arms crossed. Parkman pushed off the couch and got to his feet. “Sarah,” he whispered. Her father put a hand on her shoulder. “So did we. 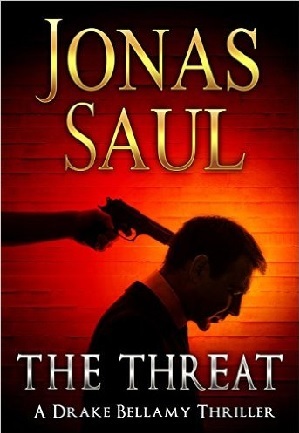 Author Description: Meet Jonas Saul, an international bestselling thriller author. 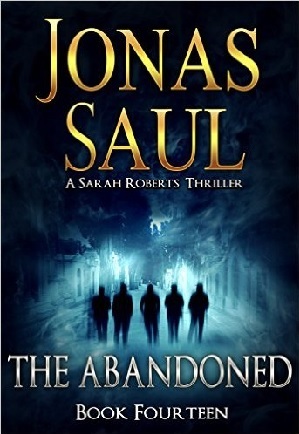 Jonas Saul is from Toronto, Canada. He lives in Leavenworth, Washington. He is always writing the next novel. 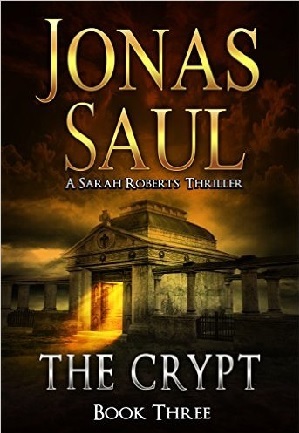 The Sarah Roberts Series are his best selling novels with the highest reviews. The Sarah Roberts Series are his best selling novels with the highest reviews. 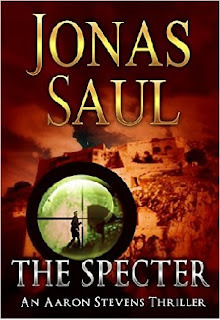 The Mafia Trilogy is fast becoming the next series to rival Sarah Roberts. Jonas wrote his first short story when he was ten-years old and went on to win Writer's Digest Short Story awards for his writing. Jake Wood has it all. He’s a homicide detective with the Ontario Provincial Police, his partner is like a brother, and he’s about to marry the girl of his dreams. Jake and his partner are investigating a serial killer who has terrorized southern Ontario for more than a decade. But when Jake assists at a routine accident, everything spirals out of control. He awakes in a hospital – eighteen months later. His job is gone. His fiancée is married and pregnant. His house was sold. His partner has transferred to another city and become the lead detective on the serial killer case. Even Jake’s dog died. He buys a house in the woods of northern Ontario and slithers away into hiding. He only wants undisturbed solitude when thieves break in and steal his computer. Jake races through the woods after them, catching his prey unawares. 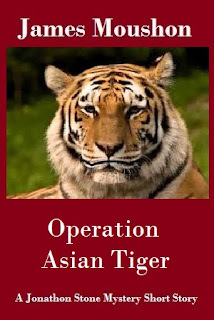 When he learns these rats intentionally targeted him, his blood runs cold. He’s coiled tight inside, ready to strike at someone, anyone. Then his old partner calls. Homicide Division is requesting Jake come on as a consultant to aid in apprehending the serial killer that has eluded them for some time. If he assists, his partner will help investigate the burglary. The case is just what Jake needs to draw him out of his hole – something to sink his teeth into. Jake must shed the shell that engulfs him and become comfortable in his new skin in order to be absolved of his venomous anger. 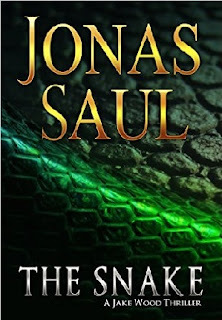 As The Snake, can Jake survive the metamorphosis? 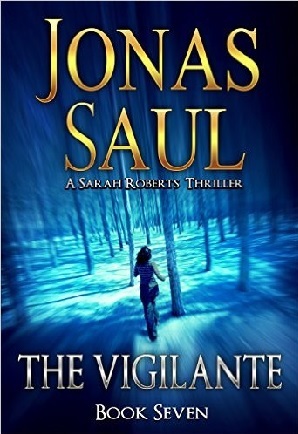 A vigilante with a connection to the Other Side, Sarah Roberts has faced several enemies throughout her career. But in Losing Sarah, the enemy is herself. Addicted to heroin after her captivity by the Enzo Cartel, she’s looking for one more fix to gather the strength to fight the urge. She finds a dealer in Mexico, but the transaction is interrupted by a robbery at a casino, leaving Sarah in police custody. Burnt out, in withdrawal, Sarah feels lost, finished. She didn’t tell Aaron Stevens, her boyfriend, where she was going, and now he can’t find her. He pools his resources with their trusted friend, Parkman, to search for Sarah, and they discover something suspicious. A man from Sarah’s past, who died years ago, is seen on the hotel lobby’s cameras talking to Sarah before she disappears into police custody. Her reaction on the video tells Parkman she is as stunned as he is to see this man back from the dead. 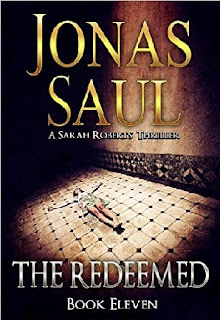 Sarah is released from the Mexican holding cell and falls into the clutches of a woman bent on revenge for past transgressions and rich enough to mete out violent consequences. Hope is an expense she can’t afford. The currency of faith bleeds her dry. When Vivian deserts her, Sarah has to rely on her bruised wits to stay alive, and in Losing Sarah, that’s just not enough. Sarah Roberts’ boyfriend Aaron has been kidnapped by the Enzo Cartel in Tijuana in an attempt to lure Sarah in, but the cartel does not expect Sarah to come with Casper, a high-ranking government official, DEA agents, and a slew of others working with the Mexican authorities. Delay after delay has them locked in a hotel, waiting for something to happen. 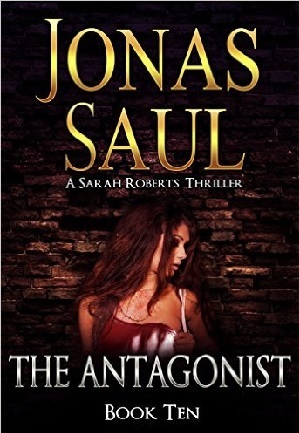 While Sarah is out at a café, their hotel is attacked by heavily armed hit men. 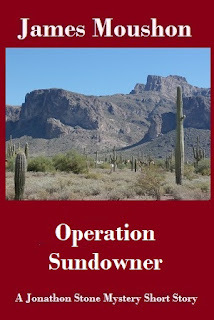 More than half the team are killed and the cartel snatches Casper. Sarah needs help and she finds it with an old friend from Italy, Darwin Kostas. Together they devise a Trojan Horse plan. She will act as bait to get inside the elusive cartel while Darwin tracks her on GPS. Desperate, Sarah knows this is her only chance to find Aaron and Casper. 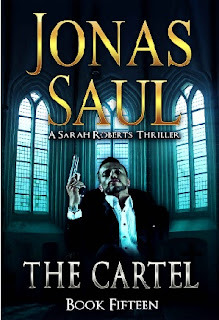 The Cartel pits Sarah and her allies against a brutal drug lord who wants Sarah dead for her role in costing them millions in laundered money. For the first time ever, Parkman, Darwin, Daniel, Benjamin, Alex, Casper, and Aaron come together in one novel to save Sarah from her toughest enemy yet. Sarah Roberts boards a plane in Toronto to Amsterdam. Sarah knows the plane will crash during the flight. She’s powerless to keep the flight from taking off and powerless to prevent the crash. But per her sister Vivian, she boards anyway. Through the course of the flight she meets Casper, a stranger who has been watching her. He often disappears throughout the flight, but not before revealing he’s carrying a gun and a knife. 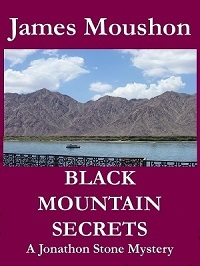 Sarah’s after a black book held by a mysterious Chinese man. 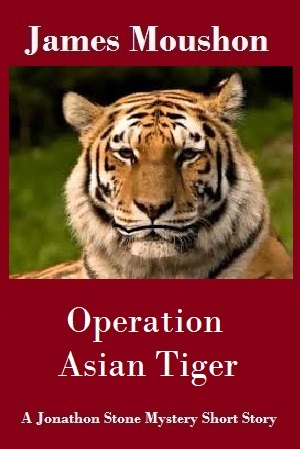 He has links to a trafficking ring that forces women to work in Torture Clubs in Amsterdam, Athens, and Moscow. This black book filled with names, dates and incriminating evidence could put a lot of people behind bars. This book will also free up hundreds, if not thousands of girls being trafficked around the globe. 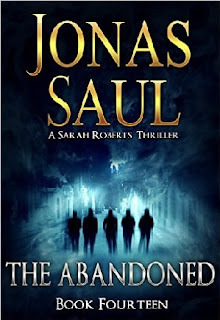 These girls are The Abandoned ones and Sarah is determined to locate the book and liberate them. When a young Toronto woman steps onto the edge of the CN Tower and prepares to jump to her death, Sarah Roberts is already there, waiting for the jumper with a parachute and a solution. As the woman teeters over the edge and is about to fall over a thousand feet to the cement, Vivian channels through Sarah, takes over her gun hand and shoots the jumper in front of dozens of witnesses. It turns out, Vivian had prepared the parachute for Sarah’s escape. With a manhunt for Sarah underway, she is overwhelmed with an anger at Vivian she has never felt before. While staying under the radar, Sarah heads to a cottage in Northern Ontario and commits murder again, this time using a police-registered weapon that the Toronto Police know she has stolen. Parkman flies in from California and teams up with Sarah’s on-again-off-again boyfriend to learn why Sarah has lost control. What has happened to make her wander the streets of Toronto murdering whomever she deems guilty? How far will Sarah go for justice? How far will the police go to stop a murderous vigilante? Has Sarah lost her mind, or has Vivian gone crazy, using Sarah in ways never seen before? When more bodies are discovered and the police have eyewitnesses and camera footage proving Sarah is responsible, they have no choice but to hunt her down using all means necessary. 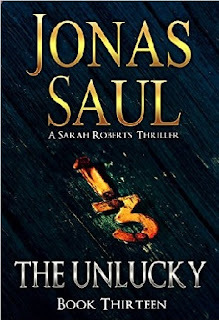 But Sarah is The Unlucky pawn of a dead sister channeling through her at will, a sister who won’t stop until all those who are supposed to be dead have been killed. They’ll have to kill her to stop her as she takes the authorities on a journey through a tortured hell to a shocking conclusion that will leave Sarah scarred for the rest of her life. Four Catholic priests have been murdered in Los Angeles, each killed in a different way. Each priest's name is carved into a small crucifix found with the body. Someone with a deep-rooted hatred of Catholicism is targeting priests with a suspected history of deviant behavior. The lead detective, David Hirst, calls on his friend Parkman for help and asks if he could bring Sarah Roberts along. Since Sarah is on a quest to redeem herself with her colleague Parkman after she had let him down in the past, she agrees to go to L.A. and do whatever she can to aid in the investigation. When they arrive, they head straight to the crime scene of yet another dead priest. 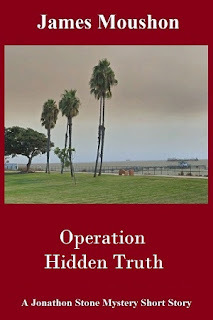 With Sarah's history of antagonizing cops, and a recent feature in newspapers around North America regarding the death of a Canadian officer, the LAPD don't want her help. Within days, Hirst regrets his decision and asks Sarah and Parkman to leave. But the killer has other plans. According to the Bible, since Sarah is an automatic writer and talks to her dead sister, she is a practitioner of witchcraft and she works for the devil. Therefore she has to die, too. Before she has a chance to leave L.A., the priest killer has carved her name into a small crucifix. 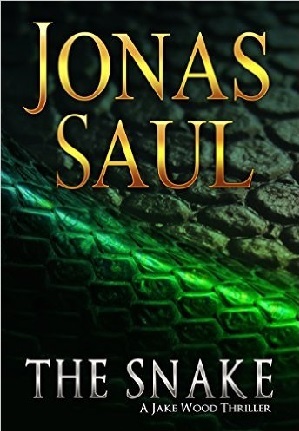 What he has in store for her is reminiscent of Eve in the Garden of Eden, a snake and a very painful way to die. Sarah has the will to live, the tenacity to fight, and a little help from her sister on the other side as Vivian digs deep to change the way she sends messages to Sarah. But channeling through Sarah's body and whispering to her takes a toll on Sarah, and she begins to feel and see Vivian's thoughts and memories. 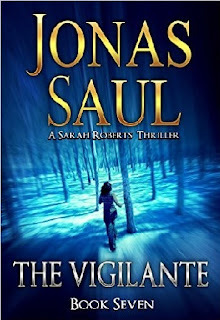 While Sarah fights to save herself, she's also trying to save her sanity as two vie for her consciousness. Vivian has sent Sarah to Kelowna, British Columbia, to antagonize a member of The Royal Canadian Mounted Police. When she arrives, Barry Ashford, the RCMP officer Sarah is supposed to irritate, has just saved a woman from a suicide attempt. To the media and the public, Barry Ashford is a hero. To Sarah, he is breaking the law and getting away with it because he's a member of the street gang in blue. Since Vivian hasn't revealed exactly what Barry is up to, Sarah doesn't have much to go on. 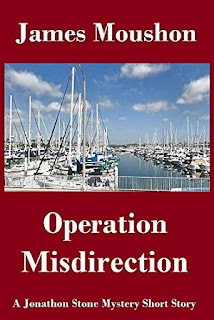 The message was simple: Antagonize RCMP Officer Barry Ashford until he confesses his crimes to her. Sarah's efforts to goad him don't work. Eventually, the entire Kelowna RCMP detachment is looking for Sarah on harassment charges. She can't afford to be arrested and she can't afford to fail Vivian. With her options running out, she abducts Barry, ties him up in the basement of her rented home, and interrogates him. Vivian leaves Sarah another message that Barry is only the barnacle on the Mother Ship. She needs to look deeper for a darker truth, one much larger than Barry. 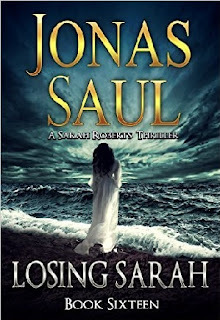 When Sarah comes face to face with that truth, she discovers an evil too large to handle on her own. One that will kill her unless Vivian intervenes. Sarah detaches herself from her friends and family to keep them safe, leaving her with no backup. Only Vivian, who never leaves her side, knows what's really going on. And nothing is what it seems in, The Antagonist. Sarah Roberts receives a phone call from her colleague Parkman. It's important they meet right away as it's a matter of life and death. Because Parkman is a close friend, Sarah ignores a warning from her dead sister Vivian to stay away. When Sarah is shot, Parkman fires on the retreating four-door sedan, but is not successful in stopping the shooter. He attempts to revive Sarah until the paramedics arrive to take over. When Parkman gets to the hospital, the police question him about who really shot Sarah. After emergency surgery to remove the bullet and reduce the swelling on Sarah's brain, preliminary results show the bullet came from Parkman's gun. He asks to visit Sarah in the ICU, but now no one can find her. He is informed that Sarah Roberts was never admitted to their hospital and the doctor Parkman was talking to earlier about her condition has mysteriously disappeared. When Sarah wakes in a modified ambulance, far from the hospital in Toronto, she has retrograde amnesia, leaving her with temporary short-term memory loss. All she can remember of the night she was shot is the image of a man named Parkman. He is standing in front of her with a gun in his hand as a bullet enters her head. The people who shot Sarah are still after her. She needs to work with Parkman in order to stay alive, but all Sarah can think about is revenge for the head wound and Parkman is in her sights. The pain of betrayal goes deeper than the physical wound as Sarah hunts for her former friend while sorting the memories that return in pieces. 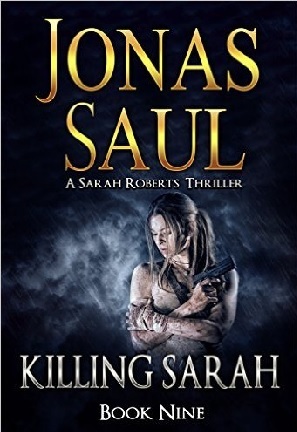 Killing Sarah is an explosive ride into the depths of a strong woman who makes mistakes and learns the consequences the hard way. 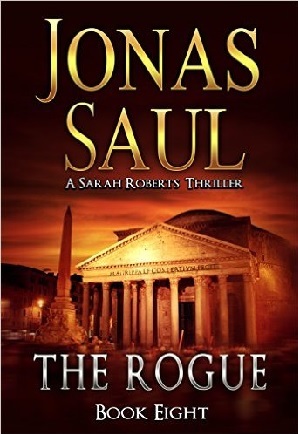 Sarah Roberts travels to Rome to assist the FBI with their hunt for an Italian-American drug lord with a penchant for violence, despite the warning that she will die within twenty-four hours. Shortly after arrival, Special Agent Penn Kierian is murdered in his hotel room, and Sarah's fingerprints are on the murder weapon. The Italian authorities want to talk to her, but she can't risk exposure to an unseen enemy. She flees to a city she had visited years ago, Umbertide, where she runs into hit men and the ruthless man who wants her out of his way. Parkman, her colleague, an ex-cop turned private investigator, is summoned to Italy to identify Sarah's remains after a massive explosion. Sarah's parents, and the people she loves, must face reality and prepare for her funeral, but Sarah has one more trick up her sleeve. During a five-month break in Toronto, Sarah has fallen for Aaron Stevens. When the police seek her help to find a serial killer who has operated in the Toronto area for more than twelve years, Sarah receives a series of messages from her dead sister, Vivian. As she closes in the on The Leap Year Killer, Sarah runs into a street gang bent on revenge for her shooting one of their members. Aaron won't accept that she willingly puts herself at risk doing her sister's bidding. Sarah wonders whether the messages are truly from Vivian, or if she possesses a unique psychic ability. With all that she has seen of man's darkest nature, it makes her question why she hasn't given up on humanity yet. Sarah is killed in a horrible car accident, the DNA found in the car verified as hers. But the government men at the Sophia Project have faked her death to keep her to themselves. After her funeral, she shows up in the food court of a busy mall where a violent exchange takes place. Things go wrong fast. The people protecting Sarah die within seconds from a mysterious drug. 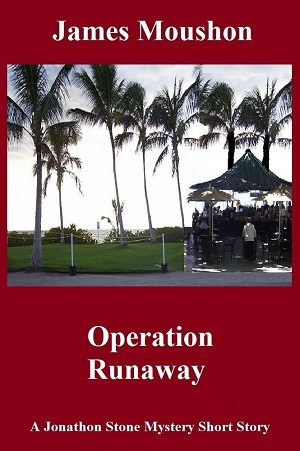 She runs, escaping the clutches of the police who want to figure out her connection to the murderers. A group of men called The Rapturites surface to take responsibility for the carnage. They want Sarah raptured as the end times are upon us. As the police hunt her, and the Rapturites get close, people she loves, old friends who have helped her in the past, start to die around her. 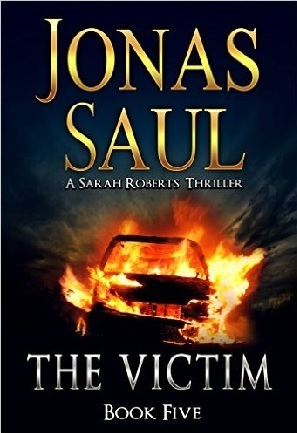 In Sarah Roberts Book Five, Sarah is The Victim, and there's nothing she can do about it. Except she won't stay dead. Meet Elmore Ackerman. He idolizes Sarah Roberts from afar, and has done so for more than five years. He has studied her pictures, memorized her news clippings and now waits in the dark for the day when he can make Sarah his hostage. A steel cage waits for Sarah, where Elmore has practiced what he will do to her. The other girls he has practiced with now lay discarded, buried about his property. He keeps their fingernails and toenails to roll between his teeth, to savor their strength, to feel the nails weaken and give in, just as his victims do. Elmore has a plan for Sarah, and she walks right into his trap. Sarah Roberts is his hostage and no one knows where they are. 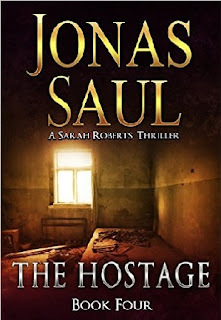 In Sarah Roberts Book Four, The Hostage, Sarah is in a fight not just for her freedom, but also her life. 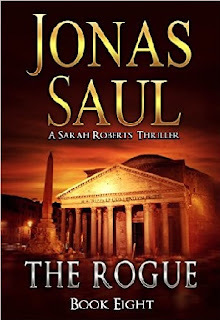 While Sarah Roberts searches for a weapon on the streets of Budapest, a strange man in a fedora follows her, but before she can find out who he is, she's arrested for a minor altercation. After her release from the Hungarian jail, she's ordered out of the country. The man in the fedora shows up at her Budapest hotel before she's to leave for the airport. He's from a psychic research organization and she is to come with him back to the States. When she refuses, she is informed that she does not have a choice. She is now property of the United States government. 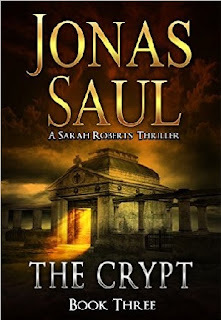 Sarah then receives a message that it all ends in "The Crypt" in nine days. An apology accompanies the note. While Sarah remains in Hungary and struggles to locate her target, she has to keep the Hungarian government off her back as well as the fedora-wearing American who has a ten-man team hunting her. The only way to escape their reach is to fake her own death. 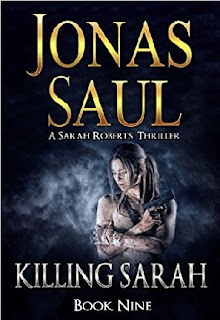 Convinced it's her only option, Sarah concocts a plan that will deal with her target and have herself killed in the process. Eighteen-year-old Sarah Roberts experiences blackouts. When she wakes, notes are written in her own hand. Prophecies. Dark Visions. Future events with dire consequences only she can avert. Sarah is an Automatic Writer who suffers from a rare obsessive-compulsive disorder called, trichotillomania. She receives a message that details a kidnapping and what she can do to stop it. She has averted kidnappings before. The notes are quite specific. She's convinced this one won't be that hard. But things go wrong when the kidnappers recognize her. People are killed. Witnesses place Sarah at the scene. 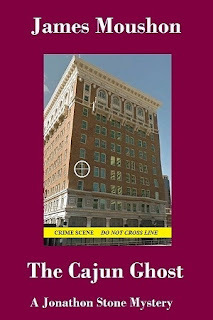 The police find her notebook riddled with prophecies of accidents and crimes - they want answers. Sarah is in a fight for her life with no one to trust and a kidnapping ring who want to find out how she knows so much about them. The police are hunting her for very different reasons while her parents think she's at a sleepover. The only way Marcus Johnson can get any serious cash is to steal it. Once the money is stashed in his car, he will call the police on himself. It was the only way he could pull it off. His was the perfect plan. But he can’t stop what happens next. He stole from the wrong people, who murder Katy, his new girlfriend. He goes insane with despair and begs God for a chance to right his wrong, but He isn’t listening. In a feeble attempt to escape, Marcus runs from Katy’s murderers, slips through time and lands in the parking lot of the store—a night earlier, where he spots himself inside, preparing to commit the crime that started everything. He possesses a wondrous tool: the ability to travel through time. But a tool this powerful needs someone who knows how to wield it. 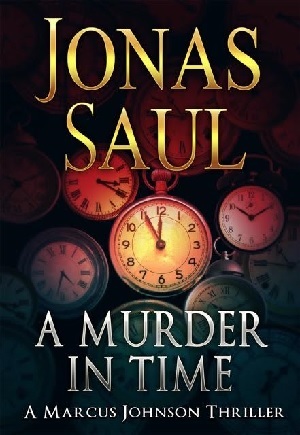 The more he tries to fix his past mistakes, the closer he gets to a murder in time. An adult entertainer has gone missing and the police aren't taking it too seriously, so Aaron Stevens must take the law into his own hands and investigate his sister's disappearance himself. 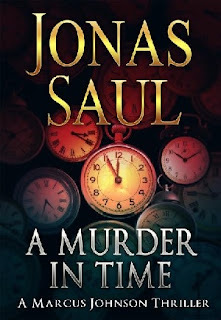 As he uncovers connections between a series of brutal murders that have Toronto police baffled, Aaron gets too close to the truth and finds himself targeted by a billionaire who doesn't care how many people have to die to keep his secret hidden. With unlimited resources, The Specter eliminates anyone who dares threaten his empire. Aaron's amateur sleuthing and martial arts expertise shouldn't present any problems, but when money and power do battle against family ties and passion, all the rules go out the window. On the run from the police and the maniacal killers intent on framing Drake for murder, he must uncover the truth before it is too late. He discovers there is a reason behind the madness that has become his life. That information takes him back twelve years to when he was hospitalized with a concussion and his fiancée went missing. The only way out now is to clean up someone else's mess. The only way out is murder. Drake Bellamy didn't want to break the law, but now he is out for blood. 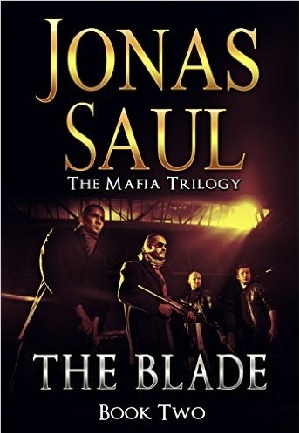 In Book One, The Kill, the Italian Mafia go after the wrong man. 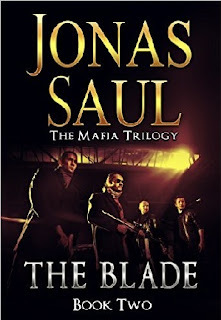 In Book Two, The Blade, the Gambino Family do it again. 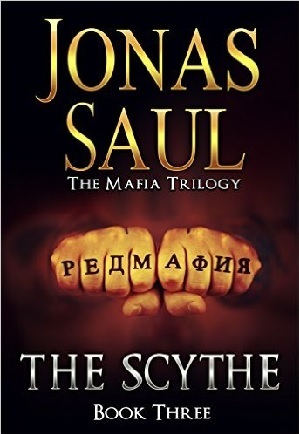 In Book Three, The Scythe, the Russian Mafia have different plans. They want to take over Toronto, a territory so large it was previously thought to be too big for one family. But Darwin Kostas and his wife, Rosina, stand in the way. As a peace offering to the Italians and the Chinese, the Russians intend to execute Darwin. First, they have to catch him, but using his wife as bait is not enough. While the Russians attempt to organize a meeting of rival families where Darwin will be terminated, something the Italians tried twice and failed, Darwin realizes he is on his own. 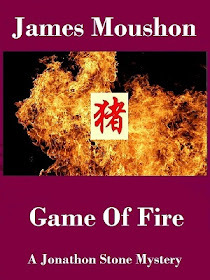 With the FBI not able to help and his wife in the hands of the Mafia, Darwin decides the only way to win this war is to kill them all. 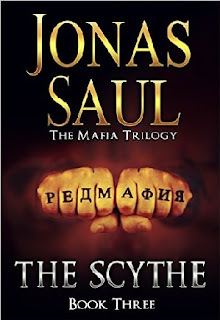 Darwin fights the Russians in the biggest Mafia war Toronto has ever seen in The Scythe, Book Three of the Mafia Trilogy, the final installment. 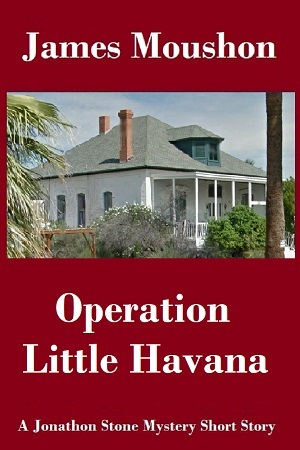 The safe house where Darwin and Rosina live is attacked. Five FBI agents are dead. Darwin Kostas has nowhere to turn, no one he can trust. Darwin's phobias cause him great stress and now the media are calling him The Blade, even though he can't stand the sight of knives. The FBI are hunting him. The Gambino family, violent mobsters associated with Italy's La Cosa Nostra, want to know who he works for before they execute him. Darwin just wants to be left alone with his new wife so they can begin a domestic life, but that is not possible with so many people wanting him dead. With evidence piling up against him, a crazed, half-blind FBI agent on his tail, and a relentless mobster planning Darwin's violent end, the only thing he has left to lose is his life. Meanwhile, the Russian Mafia are moving into new territory in Toronto. They want to know who this Darwin guy is and why he is still breathing. When they show up to take possession of his body, Darwin has one surprise left for the mobsters before he dies.